Home :: Congratulations :: Congratulations!! 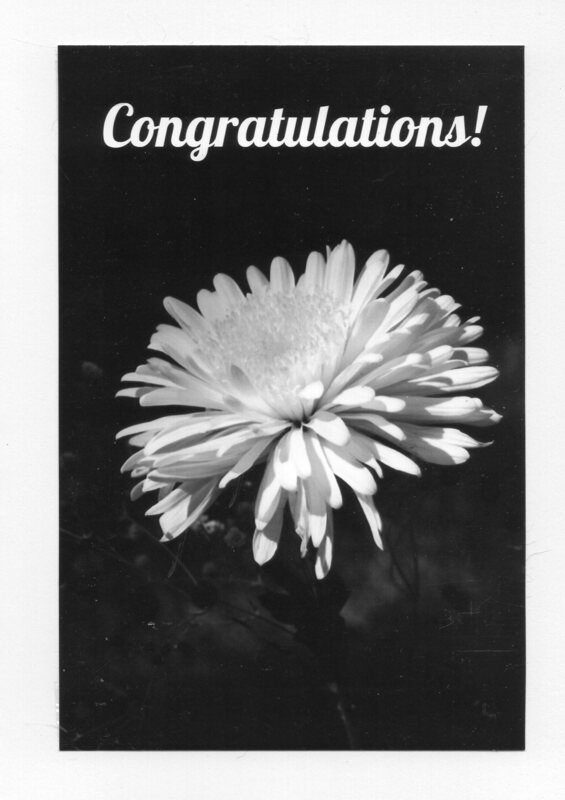 Beautiful handmade 5x7 white wildflower note card with Congratulations written on front of card! There are times, when people need your special touch..a word of encouragement during a difficult time in life, wishes to get well soon, an apology, missing you, or congratulations on a job well done or promotion! All our photographs are sent to an outside lab for processing, and inspected by us before creating a card. Our photographs are affixed to certified stock paper.